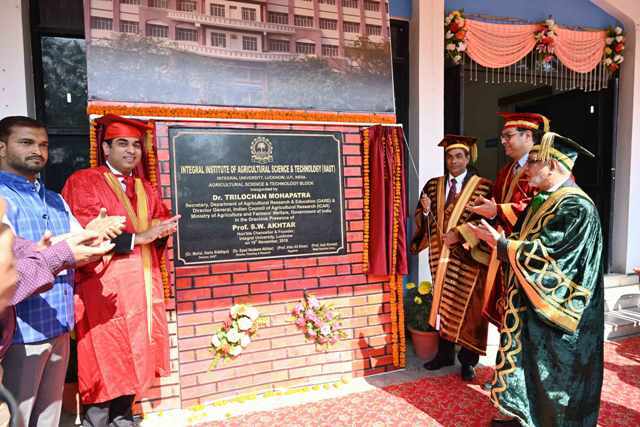 Integral Institute of Agricultural Science & technology, IIAST, the preferred choice of students for higher studies in Agriculture, gets officially inaugurated. The University that has 11 Faculties of study and 38 Departments, offering 48 PG courses, 2 PG Diploma Courses, 35 UG Courses, 22 Diploma courses and 3 Certificate courses, is constantly growing and widening it’s horizon to the needs and interests of scholars and society. 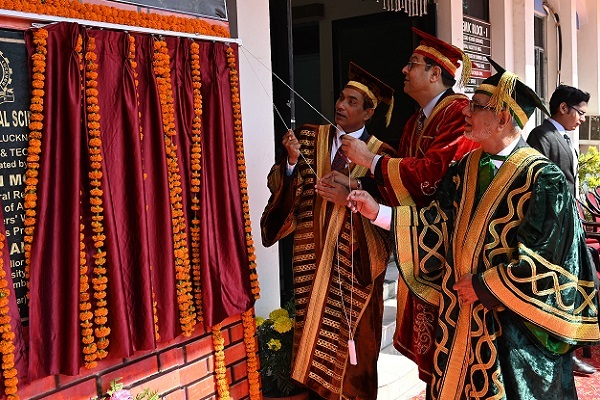 One of the newest addition to the Integral family was the Institute of Agricultural Science & Technology, IIAST, which was formally inaugurated by the Director General & Secretary, Department of Agricultural Research and Education (DARE) and Indian Council of Agricultural Research (ICAR). The Inauguration was held on November 16, on a Friday afternoon, amidst enthusiastic students and faculty, spearheaded by Prof. S. W. Akhtar, Hon’ble Chancellor and Founder of Integral University, Mr. Mohsin Raza, , Cabinet Minister, Uttar Pradesh Government, Mr. Kumar Keshav, Managing Director, Lucknow Metro Rail Corporation, and Prof. Aqil Ahmad, acting Vice Chancellor, Integral University. “Keeping in Mind the opening of Agricultural Universities in India on the pattern of Land Grant Colleges in U.S.A., greater emphasis has to be placed here in augmenting teaching, research and extension activities in the field of agriculture. There was thus felt a need by our Hon'ble Vice Chancellor Prof. S. W. Akhtar for starting Integral Institute of Agricultural Science and Technology (IIAST),so that apart from teaching, it could also meet the research and extension needs of the area comprising of state of Uttar Pradesh in particular”, explained Dr.Haris Siddiqui, Director, IIAST. Institute of Agricultural Science & Technology (IIAST) was formally established on 9th May, 2014 to develop human resources and to generate appropriate, efficient & effective technology for sustainable growth in agriculture and allied fields ensuing enhanced food & nutrition security, income generation and environmental safety. The first batch of the graduates from IIAST has passed this year with flying colors aiming to implement their goals and achieve enormous success.